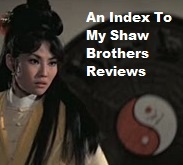 Am I the only fanboy who likes Chang Cheh's modern stuff -- like the campy Young People (1972) and this film -- more than his famous martial arts epics, like 1973's The Blood Brothers? After watching 1973's Police Force, I'm beginning to think so. In a masterful, almost wordless 10 minute sequence, a young man (Alexander Fu Sheng) and woman (Lily Li) arrive at a police academy in Hong Kong where the young man enters a martial arts tournament and wows all in attendance, including Wong Chung. It doesn't hurt that in this sequence, several musical cues are lifted from Marvin Gaye's wonderful score for the not-so-great 1972 film, Trouble Man. 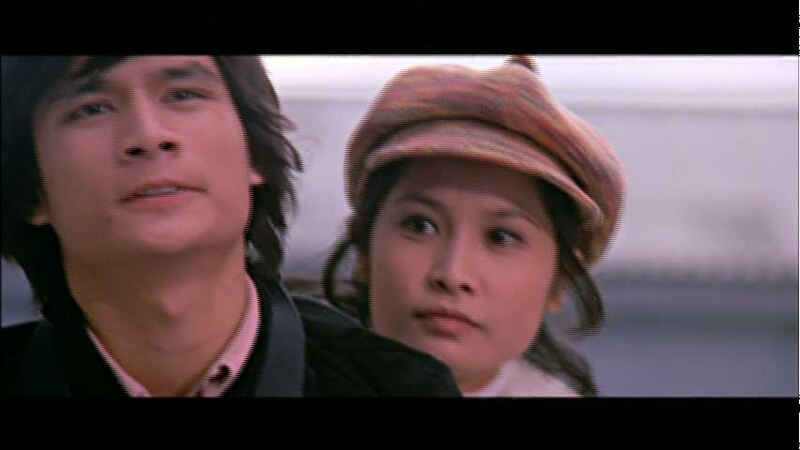 The charismatic Alexander Fu Sheng is killed so Lily Li's friend, Wong Chung, is inspired to join the police force. Over the inevitable training montages, Police Force turns into a bit of a commercial for the Hong Kong police force. But the very things that are dated about this picture are the things that make it cool to me. Like Young People, the film is a bit overwrought and unintentionally campy but that's sort of why I enjoyed it so much. Lily Li sports a variety of hairstyles and gets to look worried in the early parts of the film but, as it's a Chang Cheh film, I didn't expect that the actress would have much of a part. Still, she's the moral catalyst of the film and seems to nudge Wong Chung towards vengeance through the efforts of the police squad. Wong Chung and Lily Li walk Stanley Beach -- I was there, in the spots shown in the film, in April and it looks the same as it did in 1973! The film is a bit long but I appreciated the largely dialogue-free action set pieces and the use of real Hong Kong locations, though an ending on the boats of the Hong Kong marine police force felt a bit overdone. Police Force was codirected by Tsai Yang Ming and I wonder if the film's success for me was due to that 2nd director tempering the Chang Cheh-isms that I am not too fond of. Wong Chung enlists Lily Li in his efforts to track down Alexander's killer -- some five years have passed according to the subtitles -- and this takes the duo into nightclubs and beauty parlors, respectively. 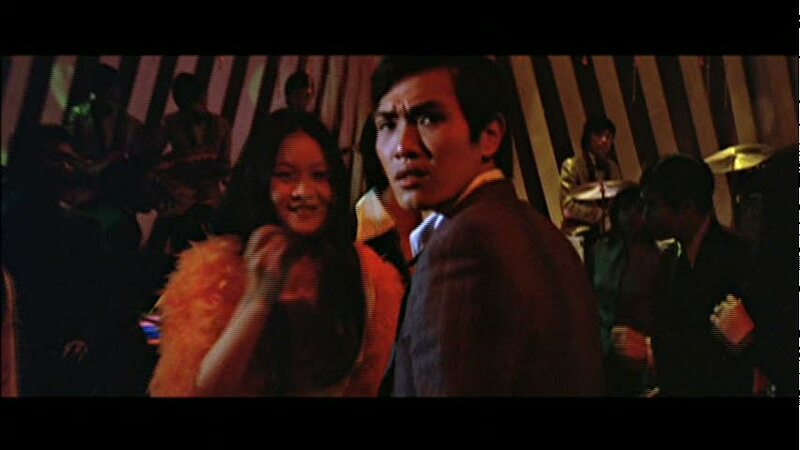 Eventually, the trail leads to call girl Su Ling (Got Dik Wa), and Lily Li finds the girl at the hairdresser's after Wong Chung strikes out in search of her in a very Seventies disco. The real villain of the piece is crime lord Wong Hap and the action, choreographed by Lau Kar-Leung, is much more realistic than that found in other films of this era. Sure, the machismo is there but there's little of the slo-mo deaths of other Chang Cheh features. And the violence seems almost necessary as the film is a story about the clash between the desire for personal vengeance and a need to uphold order through public mechanisms like a police squad. If Police Force had been 10 minutes shorter, I'd probably be raving about it but it was still a decent film that held my interest for most of the 101-minute running time. 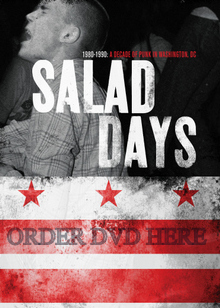 You can order Police Force on DVD here.